Galloping Out, an Illinois-based retraining and rehoming organization, created by the Illinois Thoroughbred Horsemen’s Association began when, according to Jan Ely, program coordinator, “the last remaining horse slaughter house was shut down in 2007.” Over the next three years, operational details were ironed out and in 2010 Galloping Out officially opened its doors to former racers from Arlington and Hawthorne racecourses. The founding President, Nate Ruffolo, guided the fledgling organization and today, Chris Block is the active President. Once a horse is accepted into the program a detailed evaluation of each horse’s specific needs is conducted, and they are then placed at one of the six farms best suited for the type of care required. Farm instructors test ride each horse to determine an effective strategy for retraining. The average time a Thoroughbred remains in the program is three to six months. 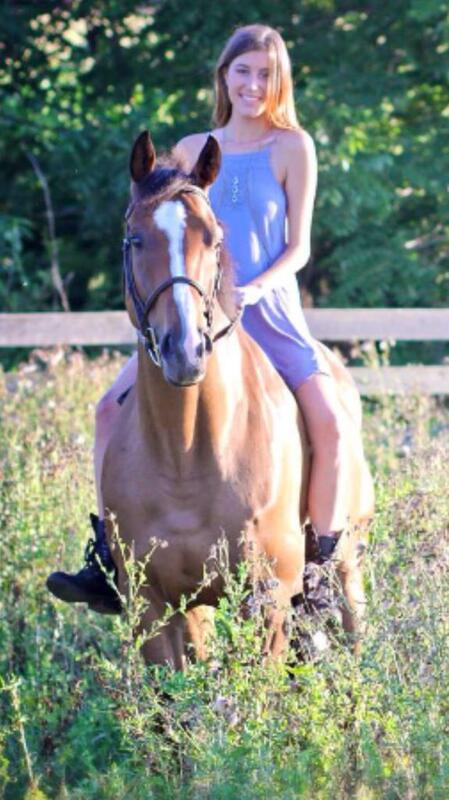 Ely says Galloping Out graduates have gone on to careers as “family horses, show horses, parades horses, and participated in television commercials.” Adopters typically come from surrounding locations including Chicago, Wisconsin, Michigan and Iowa. Ely is truly proud of the service Galloping Out provides to the industry, but one story stands out. She recounted a story of two sisters and their husbands that between them adopted 15 underprivileged children suffering from behavioral, emotional, and physical challenges. As joint owners of a farm in Wisconsin, the families adopted several Thoroughbreds from Galloping Out for the therapeutic benefits that horses often provide. Ely believes it is the “team-oriented environment” propelling the interaction between farms that ensures all horses end up in the most suitable homes. However, Galloping Out is challenged by limited funds. According to Ely, “Galloping Out strives to never say ‘no’ to any horse.” Additionally, Jan believes, “it is a necessity that the industry and tracks accept more ownership for retired Thoroughbreds and it should be everyone’s responsibility.” She believes that every horse deserves a good home after their race career and is gratified that Galloping Out connects these horses with good homes. TCA’s grants to Galloping Out support operational efforts. Ely recalled one special horse assisted by TCA’s support. “Pushing Up Daisy” was rescued from a kill pen and, according to Ely, was “merely a rack of bones.” After time with Galloping Out, Pushing Up Daisy is fully recovered and enjoying a second career.